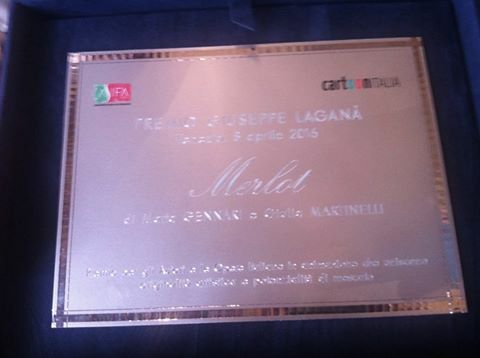 ASIFA and CARTOON ITALIA, have won the GIUSEPPE LAGANA’ award for the short film -MERLOT- by Marta Gennari and Giulia Martinelli. The GIUSEPPE LAGANA’ award set up and promoted by ASIFA ITALIA and CARTOON ITALIA and which will be repeated every year, was delivered for the first time to the 2016 edition of Cartoons On The Bay. -The GIUSEPPE LAGANA’ award is a prize for Authors and Italian Works that unite artistic originality and market potential. In a fairytale forest, a grubty old woman loses a bottle of wine. 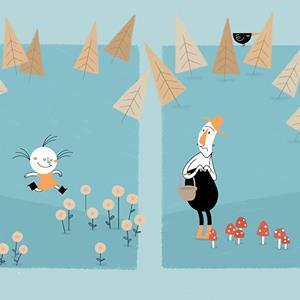 This fact will kick off a chain of events where all the characters – the old woman, a mischievous little girl, a fearful mushroom collector, a stupid wolf and a flock of birds – will play their part in a funny bout and response game between cartoons and frames that will lead to an unexpected development. Diploma essay of the EXPERIMENTAL CENTER OF CINEMATOGRAPHY 2015.